support for people with I/DD. Thank you to all of you for all that you contribute to the Friends and for your partnership throughout the year. Globally, there are more than 300,000 babies born with neural tube defects each year. With more than one-third of the world’s burden in South-East Asia, CDC is partnering with the South-East Asia Regional Office of the World Health Organization (WHO-SEARO) to provide guidance, training and technical assistance to Member States (countries in the WHO-SEARO Region). Member States will work to develop and implement national plans for birth defects prevention. In 2013, WHO-SEARO developed a South-East Asia Regional Framework for the prevention and control of birth defects. The first-of-its-kind in the world, the Framework sets targets for countries to achieve by 2017, including a 35% reduction in the prevalence of folic acid-preventable neural tube defects. Sri Lanka, Thailand and Bangladesh have moved forward in developing national plans, with four more countries planning to do so in early 2014. For more information, contact Aliki Weakland. The APHA Annual Meeting, was held November 2-6, 2013, in Boston, MA, and attracted over 10,000 public health professionals from the US and abroad. Three films submitted by Gretchen Simmons in NCBDDD’s Division of Blood Disorders were screened with a Q&A session following each film. The objective of the session was to demonstrate the power of visual media to raise awareness of public health issues and to give a voice to those individuals, groups and causes that need to be heard. The session offered a platform for the screening of health communication visual projects that have been used to convey critical health information to audiences in the U.S. The three films that were featured were 1) Sickle Cell Disease Education and Awareness in Your Community, 2) Starting the Conversation: How to Tell Your Friends About Hemophilia, and 3) Playing it Safe with Hemophilia. 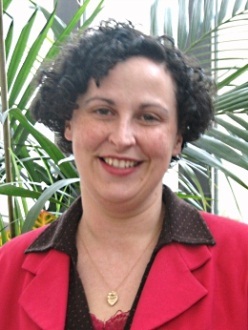 Cindy Sayers, Division of Blood Disorders, delivered a presentation during APHA’s Annual Meeting entitled: Providing Young Women with Credible Health Information About Bleeding Disorders. The presentation examined bleeding disorders in women, which is an underestimated public health problem that, if undiagnosed, can diminish quality of life and cause life-threatening complications during menstruation, childbirth and surgery. NCBDDD and the National Hemophilia Foundation commissioned an online survey to measure young women’s awareness of, knowledge about, and experiences with heavy menstrual bleeding. The study concluded that lack of information about bleeding disorders is a serious public health concern and health communications focused on gain-framed statements may encourage symptomatic young women to seek early diagnosis and treatment. These findings and corresponding recommendations align with national health goals set through Healthy People 2020 and with CDC’s Health Protection goal for women–working to promote the health, safety, and quality of life of women at every life stage. To learn more contact Cindy Sayers. John Eichwald, M.A., is the new branch chief of the Child Development and Disability (CDD) Branch at NCBDDD’s Division of Human Development and Disability (DHDD), which includes the several health topics and conditions: Attention-Deficit/Hyperactivity Disorder, Audiologic Evaluation, Early Hearing Interventions, Fragile X Syndrome, Legacy for Children™, Muscular Dystrophy, Newborn Hearing Screening, Spina Bifida and Tourette Syndrome and Related Disorders. Serving as Team Lead for DHDD’s Early Hearing Detection and Intervention Team for nearly 10 years, Mr. Eichwald managed various activities including collaboration with federal agencies and national organizations in assisting states and territories to develop standardized procedures for tracking, surveillance, data collection and quality assurance. In his new position, Mr. Eichwald will lead this new branch to better understand and promote child health and development. The Association of State and Territorial Health Officials (ASTHO) has released a Critical Congenital Heart Disease (CCHD) issue brief which provides an overview of CCHD, the associated challenges with screening for these conditions, and the role that state and territorial health agencies can play in CCHD screening. New Jersey and Indiana are highlighted for the success they have had in implementing statewide pulse oximetry screening. In addition, ASTHO developed a story which showcases the work of New Jersey’s newborn screening (NBS) lab when Hurricane Sandy made landfall in October 2012. In spite of the destruction, the NBS lab teamed up with state and local partners to ensure that not a single newborn was missed in the days after the storm. For additional stories and resources, visit ASTHO’s Healthy Babies webpage. 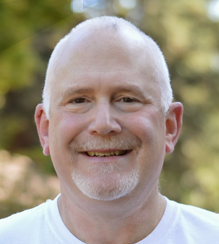 The National Fragile X Foundation (NFXF) Board of Directors has named Jeffrey Cohen as interim Executive Director. Mr. Cohen, who succeeds Robby Miller, has a long association with the Foundation. He joined the NFXF Board of Directors in 1996 and served until 2010. During that time, he was board president from 1997-2003 and was chair of the Public Policy Committee from 2003-10. Since 2011, he has served as the NFXF Director of Government Affairs and Advocacy. Cohen earned degrees in business administration and law from Wayne State University. He lives with his wife, Arlene; son, Josh; and daughter, Alli; in West Bloomfield, Michigan. Both of their children are affected by Fragile X Syndrome. “We are fortunate Jeff has accepted this role,” NFXF Board President Brad Whitus said. “As a past board president and current Foundation Director of Government Affairs and Advocacy, he is very knowledgeable, widely respected, trusted and admired within the Fragile X community, and is an outstanding advocate. We are excited to move forward seamlessly under his leadership.” Read the full press release here, and click here to read an interview with Mr. Cohen. November is Epilepsy Awareness Month. On behalf of the 3 million Americans living with epilepsy, Citizens United for Research in Epilepsy (CURE) is encouraging people to visit the CURE website to learn about ways to get involved with CURE. Host an event, donate dollars to fund critical epilepsy research and more. Sign up for eNews to stay updated on CURE’s activities throughout the month of November! The National Blood Clot Alliance (NBCA) worked closely with author Hollace Schmidt on an extremely informative article on blood clots, entitled “Outrun Danger.” The article appears in the November-December issue of Fitness magazine. It features NBCA volunteer Kara King and professional triathlete Jenny Fletcher as blood clot survivors and offers clinical insights from several of NBCA’s current and past Medical and Scientific Advisory Board members. It’s a must read for runners and all young women because blood clots do not discriminate and can afflict anyone regardless of what shape he or she is in. Find the article here! NBCA, with support under its CDC cooperative agreement, held its most highly attended Stop the Clot Forum® on October 19, at the Massachusetts General Hospital in Boston, MA. More than 100 patients, family caregivers and healthcare professionals heard outstanding presentations from leading clinicians on the topics of blood clot signs and symptoms, risks, treatment and prevention. A special session was conducted on Women and Blood Clots and a four-person panel of patients shared their personal blood clot experiences and lessons learned. The half-day forum was highly interactive and many participants lined up during breaks to speak further with the presenters. The entire program was videotaped and will be edited into five learning online modules that are posted on the NBCA website and will be widely disseminated to social media outlets in the coming months. View the videos here! Robert L. Brent, MD, PhD, DSc, recently received the John Scott Award at the American Philosophical Society (APS). 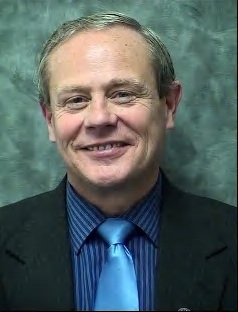 Dr. Brent was chosen for his meritorious work on “environmental causes of birth defects including environmental exposure to drugs, chemicals, ionizing, radiation, microwaves and ultrasound.” Dr. Brent’s discoveries were a result of his life-long research on the causes of birth defects and other reproductive problems. 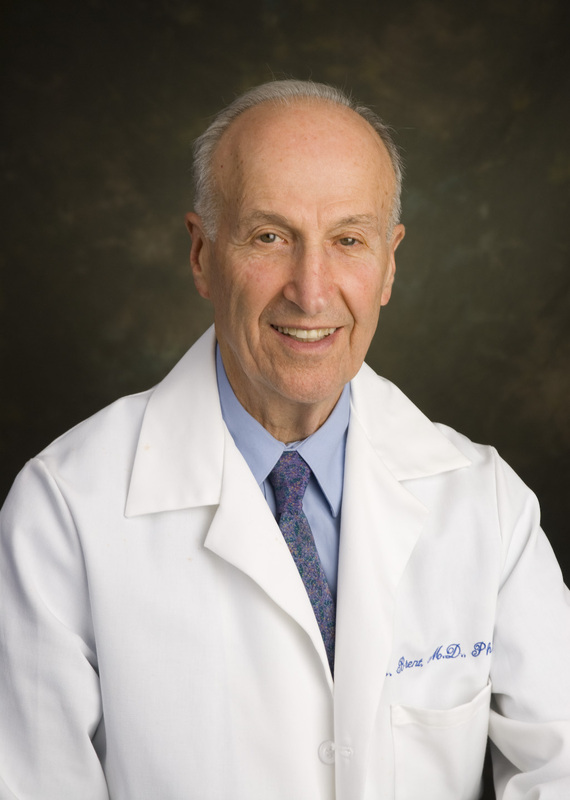 His most interesting discoveries demonstrated that the embryo was less vulnerable to the carcinogenic effects of radiation and other mutagenic agents due to the presence of “omnipotential cells in the embryo (now called stem cells) than the child or adult. Dr. Brent’s views were rejected by main stream science until the inutero exposed embryos to the atomic bomb proved that he was correct. As a John Scott Award recipient, Dr. Brent is in historic company. Previous recipients have included Marie Currie (radium), Sir Alexander Fleming (penicillin), Orville Wright and Thomas Edison. Twenty-seven of the past honorees have received the Nobel prize. Early Intervention, IDEA Part C Services, and the Medical Home: Collaboration for Best Practice and Best Outcomes, recently published clinical report from the American Academy of Pediatrics (AAP) Council on Children with Disabilities, outlines the core components of IDEA Part C and provides ideas, tools and resources for communication and collaboration among medical homes, Part C programs and families. For more information about the Council, visit www.aap.org/cocwd. The AAP weekly digital radio show with RadioMD.com is now featured on iHeartRadio Talk. The AAP show, Healthy Children, offers parent-friendly advice from AAP spokespersons on nutrition, immunizations, injury prevention, mental health and other topics. Podcasts are perfect for sharing on pediatric practice websites and social media sites. To hear recent podcasts, or to listen to the live show at 1 pm ET on Wednesdays, visit the Healthy Children show page or iHeartRadio Talk. Two of the podcasts aired in October include Top 5 Tips for Parents of Special Needs Children and Your Child’s Medical Home: What You Need to Know . Birmingham’s Lakeshore Foundation received the Rings of Gold award from the U.S. Olympic and Paralympic Assembly Awards at its annual gala in October. The award recognized Lakeshore’s programs dedicated to helping children develop their Olympic or Paralympic dreams and reach their highest athletic and personal potential, through promoting adaptive sports and recreation to children with physical disabilities. Lakeshore is a U.S. Olympic and Paralympic Training Site. HEARCareers is the American Academy of Audiology’s year-round resource for jobs and externships in audiology. It provides employers with an audience consisting of only audiologists and allows job seekers to view jobs that cater specifically to their profession. Now, through November 30, employers in the hearing care industry can save 15% off of a job posting. Enter the code FALL13 and receive this discount off of your next job posting. All HEARCareers job postings come with access to the résumé database, which is available while the job posting is active, as well as having the job posting feed directly onto the Academy’s Facebook page via the Career Center. Click here to learn more.